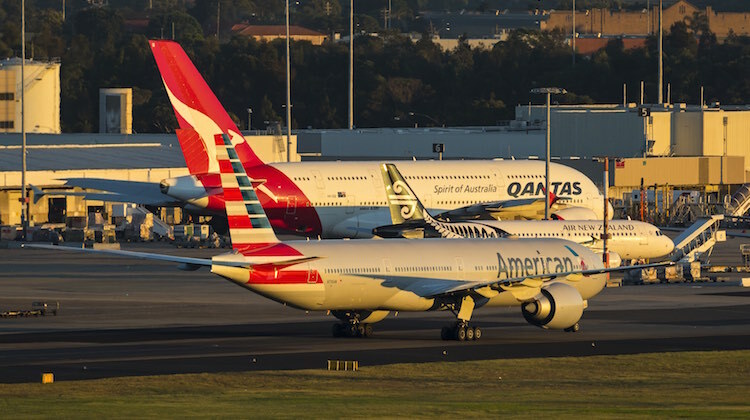 American Airlines and Qantas have told the United States government their current level of codesharing is akin to “keeping the lights on” as they await a decision from the Department of Transportation (DoT) on a proposed alliance. The remark was included in the pair’s latest submission to the DoT following the department’s request for more information in June on the expanded alliance and joint-business agreement (JBA). The two carriers are making a second attempt to forge a closer relationship after their initial bid was withdrawn in late 2016, when a Show Cause Order (SCO) indicated the DoT was inclined to reject the application on competition grounds. While the pair continued some level of codesharing on each other’s networks, particularly on domestic services in Australia and the United States, Qantas took its QF airline code off American’s Los Angeles-Sydney service, while American took its AA code off Qantas’s Sydney-Los Angeles and Sydney-Dallas/Fort Worth flights. The two carriers also “scaled back or paused” efforts to improve the passenger experience such as coordination of baggage handling, lounge services, investments in infrastructure, IT integration, revenue and yield management integration, scheduling, and frequent flyer benefits following the SCO. “Today, the parties are operating under a ‘keep the lights on’ codeshare agreement with Qantas that was negotiated after the SCO was issued in November 2016 to support some level of codesharing,” the public version of the application said. “This ‘keep the lights on’ level of codesharing has been maintained while the Parties’ re-application for ATI is pending. “Given the Parties’ intent to re-file for ATI, and to avoid additional loss of goodwill from abandoning routes, they have maintained a greater level of service and cooperation than they would if there was no hope for implementing the proposed JBA. American and Qantas say the granting of ATI would result in up to US$440 million of consumer benefits, including the maintaining of some trans-Pacific services such as Qantas’s Sydney-Dallas/Fort Worth nonstop flight, as well as American’s nonstop services from Los Angeles to Auckland and Sydney. Further, the submission noted authorisation could also facilitate the launch of new routes and the re-timing of existing services. For example, it said American may choose to offer a daytime flight from Los Angeles to Sydney “assuming there is demand for those options”. Currently, all four airlines on the route – American, Delta Air Lines, Qantas and Virgin Australia – operate an overnight service from Los Angeles to Sydney. “American may consider moving its LAX-SYD flight to leaving at 9:35 am in Los Angeles and arriving in Sydney 7:45 pm (2:45 am PST) – American would only consider this change under the proposed JBA,” the submission said. “Without ATI, neither American nor Qantas would risk ceding these prime arrival and departure times to a competitor. Both Qantas and American have already made decisions to scale back their trans-Pacific networks in recent times. 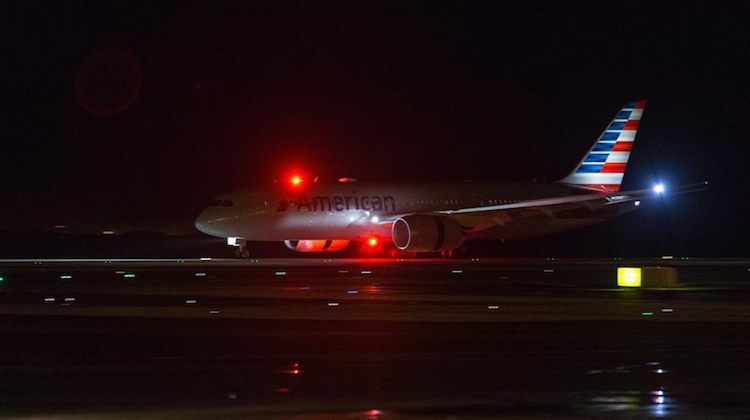 American downgauged its Sydney-Los Angeles flight from a Boeing 777-300ER to the smaller 787-9, while it switched Los Angeles-Auckland from a year-round to seasonal offering. Qantas meanwhile reduced Sydney-Dallas/Fort Worth from daily to six flights a week. “For Qantas, lack of American’s feed support led to down-gauging of its DFW-SYD flight from a daily A380 service to a 6-days a week service, beginning February 2019,” the submission said. It has not been just capacity cuts though. In early September Qantas launched a new Melbourne-San Francisco nonstop service with Boeing 787-9 equipment. Qantas already serves San Francisco from Sydney. 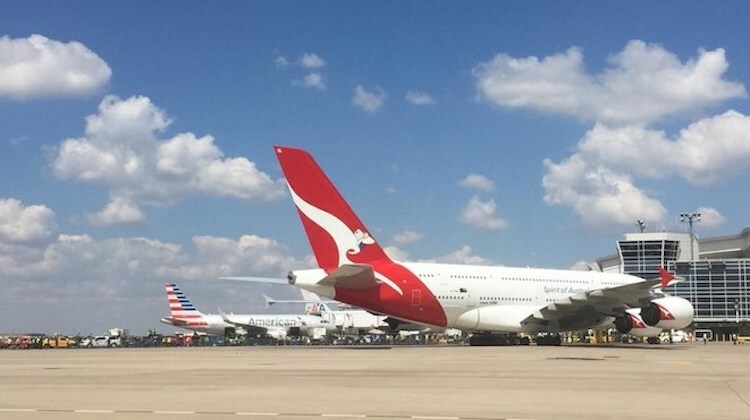 However, Qantas chief executive Alan Joyce said recently new routes between Australia and the United States were off the agenda until a decision from the DoT. Asked at the airline group’s 2017/18 full year results presentation in August about whether the 787-9s would be used to open up new destinations in the United States such as Chicago or Seattle, Joyce said that would be influenced by the outcome of the DoT’s application process. “We’ve made it very clear our ambitions to grow our North American operations with more destinations and the 787 gives us great capability in order to do that,” Joyce said. “We are working through the Department of Transport application. They’ve asked us for more information, which was expected. Joyce said he was hopeful a decision from the DoT would be forthcoming in the next few months. 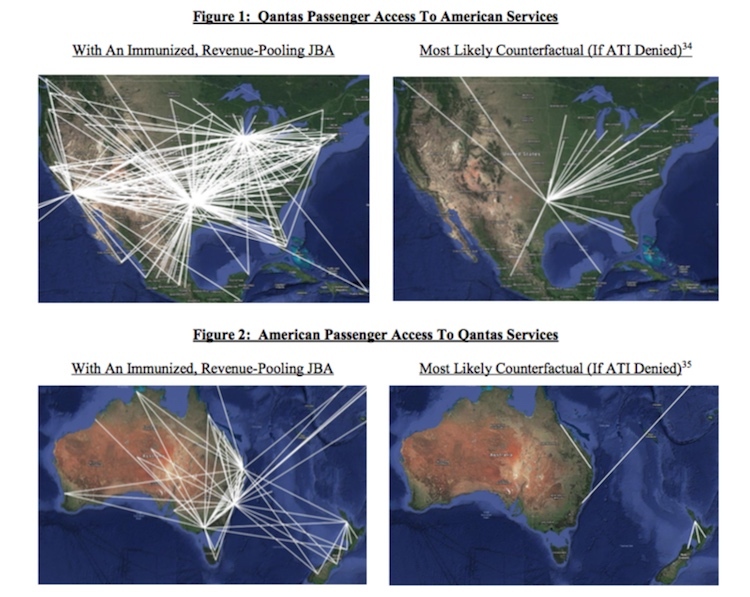 The submission noted American and Qantas currently had a total 188 codeshare segments on each other’s networks and this would increase to 436 codeshare segments should the proposed JBA be approved. However, should the DoT reject the application for a second time, up to 121 American and 35 Qantas codeshare segments would be eliminated. Further, American’s nonstop flights to Sydney and Auckland, as well as Qantas’s Sydney-Dallas/Fort Worth “will be at risk”. 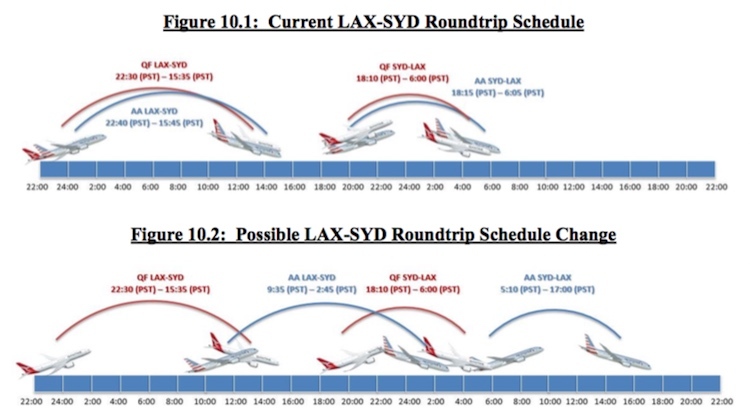 “There is a significant risk that American’s LAX-SYD and LAX-AKL flights will be discontinued,” the submission said. And the terms of any codesharing that survived would need to be re-negotiated, further limiting the potential for continued codesharing. Qantas and American have worked closely together on the trans-Pacific market since 2011, albeit without ATI. 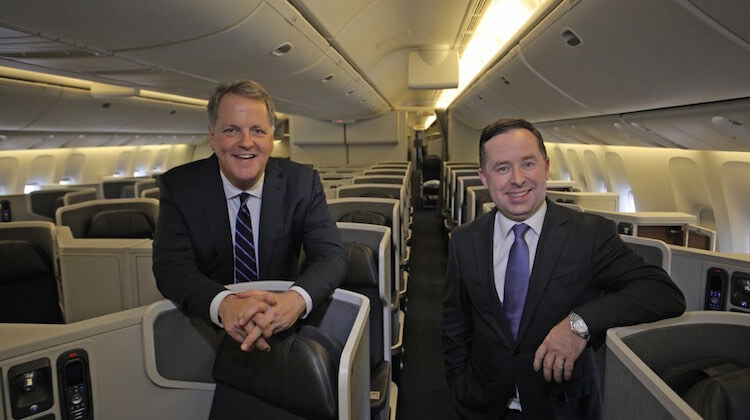 The pair started codesharing on each other’s flights in 1989 and helped establish the oneworld alliance as founding members. In February 2016, the Australian Competition and Consumer Commission (ACCC) authorised the JV for five years, while the New Zealand Ministry of Transport gave its approval in November 2015. However, the DoT’s rejection killed off the JBA. The other two major alliance groups on the trans-Pacific market were the Delta Air Lines-Virgin Australia tie-up and a JV between United and Air New Zealand. The latter covers only New Zealand-USA routes.